In order to survive, a normal blood circulation is crucial. Blood delivers oxygen, fuel, and nutrients every organ in the body, which, of course, includes the brain. Apart from these functions, it’s the blood that moves toxins and waste products to the assigned organs for them to be flushed out of the body. When the blood flow to the brain is interrupted, a stroke can happen. For the circulation of blood, there’s the circulatory system comprising of heart, veins, and arteries. Their main task is to keep the blood flowing throughout the body. The heart, basically, is a muscle which requires strength while the arteries and veins should be supple and without blockages in order to achieve a normal-functioning body. 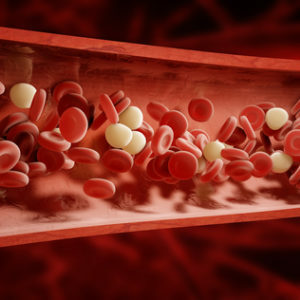 High cholesterol levels are one typical reason why there’s inefficient flow of the blood. This can lead to platelet aggregation, or arterial accumulation, which can trigger heart attack or stroke, or depending on where the obstruction happens. As mentioned, your heart is basically a muscle that needs to be worked out in order to be strong. Otherwise, it’ll just be weak. A cardiovascular workout many times per week can help with its efficient pumping. 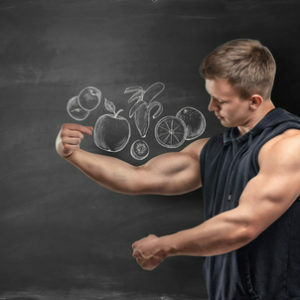 Regular exercises can also counteract obesity, a condition known to causing strain and making your entire circulatory system weaker, as well as compromising your general blood flow. For instance, there’s yoga. Despite being a low-impact form of exercise, it can stretch all the muscles in your body and train you to perform breathing methods that can boost the circulation of blood. Since some workouts can be risky to individuals suffering from medical afflictions, consulting with your doctor prior to starting any workout regimen is a must. For apparent reasons, the foods you eat and put in your body have a great deal of effects on your blood circulation. For instance, excessive consumption of saturated fats can cause obstructions in the arteries. Huge amounts of salt can trigger high blood pressure. If you’re already suffering from it, then consuming great amounts of salt can make it worse. Processed foods, including white flour and white sugar, can deprive your body of the substantial nutrients to function without any problems. In order to help with high cholesterol, it is recommended to consume lots of soluble fiber, which can be found in oatmeal and apples. This is because soluble fiber can assimilate cholesterol because it enters the bloodstream. Omega-3 fatty acids, which you can obtain from fatty fish like salmon, can also help with the reduction of blood pressure. Finally, olive and canola oils, as well as nuts, can help secure the health and suppleness of your arteries to make sure that circulation of blood goes on without any obstructions. There are herbs that can be used as cardiovascular stimulants, such as cayenne, ginger, or ginseng. All these can help enhance blood circulation. Even hawthorn and rosemary can help with poor blood flow by delivering antioxidants. Moreover, herbs like ephedra and guarana could have stimulant properties. However, they are considered detrimental because they can lead to the hasty increase of the heart rate and blood pressure. For this reason, FDA prohibited the sale of supplements that have ephedra in their formulations. Hence, it is important to discuss options with your doctor before making any purchases of herbs or supplements to add to your diet.